The ASAP LOCK mobile fall arrester is designed to facilitate manipulations during rope ascents. In normal use, the device moves freely along the rope without any manual intervention and accompanies the user in all his movements. In case of shock or sudden movement, the fall arrester locks on the rope and stops the user. The ASAP LOCK’s integrated locking function allows the user to immobilize the device to reduce the length of a fall. The connection arm makes the system loss-resistant when passing intermediate anchors. 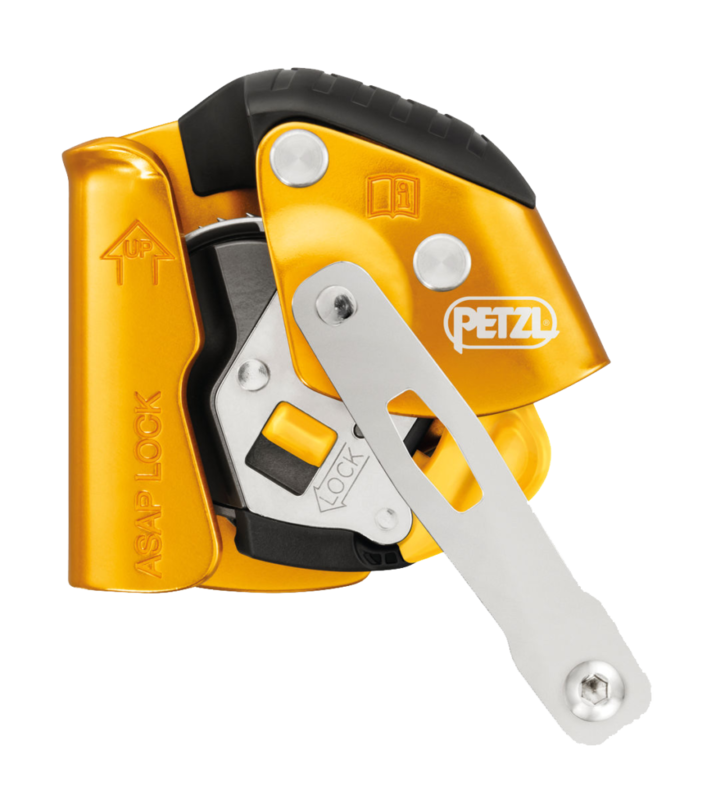 The ASAP LOCK is used with an energy absorbing lanyard (Petzl ASAP’SORBER INTERNATIONAL 20 cm or 40 cm, or ASAP’SORBER Axess) to work at a distance from the rope. Quick and easy to install, the ASAP LOCK works on semi-static 10.5 to 13 mm rope. (Petzl Triact Carabiner NOT included).